He sent me a photograph I didn't have, made Paul laugh. From left to right back row first. My Mom, Yvonne, Denise then front David and me. 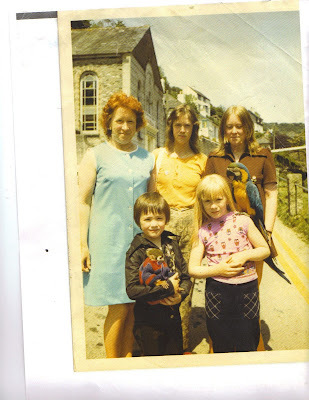 I'm the one with sun burn and that parrot is really hurting me.